Buying baby stuff for a first time mom can be quite overwhelming. I bought a lot of unnecessary things before I gave birth and accumulated a lot of unused baby items in our small unit. 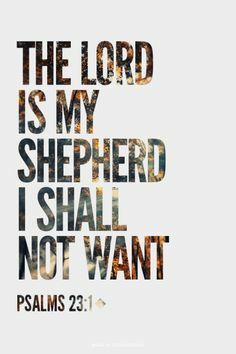 I gave some away but I can't help but be frustrated on the money I have spent. One of my very first buys was a steam sterilizer. I was very happy with my purchase back then. It costs fraction of a price and it worked well. When I heard about UV sterilizers, I told myself that I do not it due to its hefty price tag. I added, "same lang naman na masterlize yung bottles and breast pump parts". So for almost 8-9 months, I used a steam sterilizer and oh boy was it a hassle to use. I experienced countless burns from using it but it did its job. When my baby got hospitalized from acute gastroenteritis, my mind changed. My baby has teething symptoms and has the habit of putting everything in his mouth. I suddenly wanted a UV sterilizer that can sterilize almost everything from his toys, pillowcase, to his feeding bottles. God must have heard my concern on Jonah's health because after a few days, I received an email from uPang asking me to review their product. Of course, I excitedly said yes. uPang Uv Sterilizer has a dimension of 12 x 13 x 15 inch. I chose the shade green because I am looking forward in using it for baby number two sometime in the future (not in the future pa ah!!! wag muna). uPang is Korea’s #1 best-selling UV sterilizer brand with 8 out of 10 brand preference among Korean moms. This 2017, uPang has once again won 1st place in the Korea Customer Care Preference. uPang uses UV light to eliminate germs and bacteria (like e.coli and salmonella) 99.9% as fully tested and certified by USA Food and Drug Administration. It also has a drying function that uses infrared set at 40 degrees Celsius preventing the leak of hazardous chemicals in plastics caused by extreme heat. 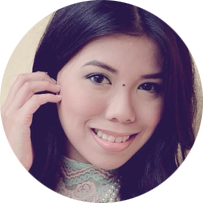 uPang has very simple interface with three functions - Auto, Sterilization, and Ventilation. - Auto (40mins): Commonly used for items that need to be sterilized and dried such as baby bottles, dishes, cups, etc. This function is a complete cycle that dries via infrared, sterilizes via UV lights and ventilates for the removal of odor. - UV Sterilization (10mins): Used when drying is not required. Usually used for sterilization of dry objects like remotes, phones, toys, teethers, clothes, toothbrush. For bottle and utensil sterilization, I usually choose the auto function. I start by washing Jonah's bottles and utensils with water and bottle cleanser. Afterwards, I wipe off the water/moisture left with a clean tissue. Then, I put everything inside uPang. I make sure that the bottles and utensils face upward to ensure that the insides of the bottles will be germ free. This function thoroughly kills germs and bacteria and removes any odor left by food or milk. For other items like remote control, cellphone, Jonah's toysm I choose the UV Sterlization function. After 10 minutes, the ventilation function automatically turns on. If you do not want the ventilation process, just double press the ventilation button. Do not be deceived by its bulky appearance, uPang sterilizers are actually lightweight. I can move it around without help from Jonah's yaya or from my husband. The inner compartment of uPang can be cleaned easily with a warm towel followed immediately by a dry towel. The two UV Philips Light. uPang has a UV High Reflective Glass Panel to ensure 360 Degrees of Effective Penetration. uPang can sterilize 12-14 bottles (plus accessories) in one sterilization process. However, the space will be limited to 8-10 bottles whenever I include my breast pump because the flanges take too much space. The door does not swing open in full 180 degrees but only 90 degrees which I do not mind at all. Sterilization is now easy as 1-2-3. I just press the button that I prefer for sterilization process. Compared to using a steam sterilizer, I did not have to wait for the bottles to cool off before drying them. After the sterilization process, I immediately place the bottles and utensils inside Jonah's feeding bottle box. Finally, no ouchies or burns whenever I sterilize. I can do other chores while I let uPang finish the 40minute auto cycle. At first, I did not want to click on the Auto Function because I find it too long and I was worried it will consume a lot of electricity! Compared to steam sterilizers that consume 500-1500 watt, uPang has a very low power consumption of 20-35 watts! After learning this, medyo tinodo ko na ang pagsterilize! A friend once told me nakakaadik daw magsterilize. I did not know that it was true until I experience the wonders of waterless UV Sterilization. I sterilize almost everything from Jonah's pillow cases, books, toys, teethers, utensils, gadgets, pillows, stuffed toys, remote control (yes, mahilig po ang anak sa remote control ), my brestfeeding pag, and many more! Guess what? I also sterilize my makeup brushes and makeup? Before, I was so lazy sterilizing because using a steam sterilizer was a tedious job (especially the part when I have to let the bottle cool and wipe off the moisture before I can finally store them). Sterilizing with uPang has now been my habit especially after getting home from work. This month, uPang Philippines is offering a great deal to all moms and soon to be moms out there! 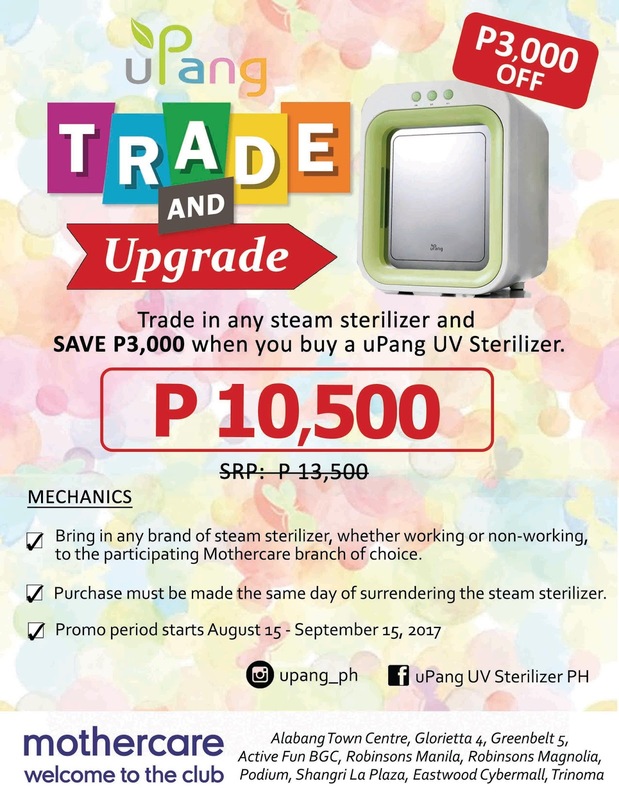 Exchange your steam sterilizer and get it for only 10,500 pesos! Great news to all of my readers, you can avail of 10% less via a special promo code (MYLUCID10) that is 10% off the P13,500 SRP of uPang for orders placed through us (website/social pages/Viber/mobile). **Not valid for purchases made elsewhere. **Promo cannot also be combined with other ongoing promos. I highly recommend uPang to all my fellow moms/moms-to-be out there!